You are able to assign job roles to your contacts to make it easier to segment them for your marketing. To do this go to your Settings module (by clicking on the Settings item in the dropdown menu underneath the user picture top right of your screen). 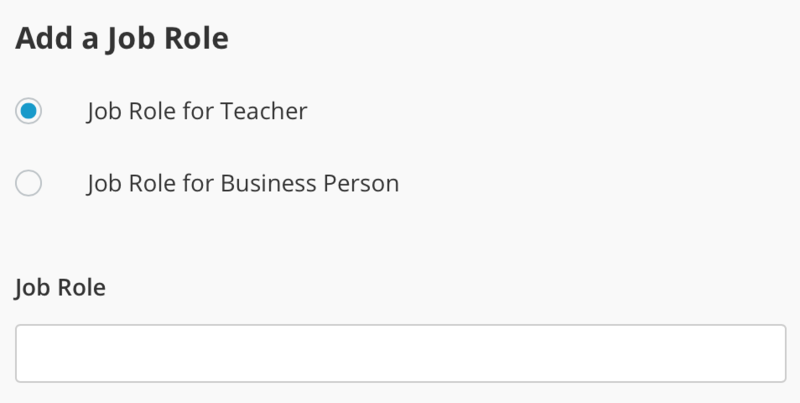 Then select the Contacts item in the submenu and then the Job Roles item in the dropdown. You'll then be fired over to the Job Roles Settings page. Click on the Add a Job Role button and the Add a Job Role window will slide in. 3. Decide whether your new Job Role is for an Educator or a Business Person. Then select the relevant radio button. 4. Add your Job Role and click Save.